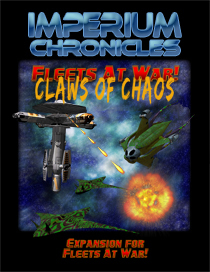 Claws of Chaos is the first expansion for the Fleets at War! 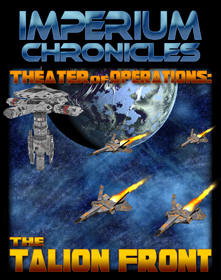 tactical starship combat game. It is played on the floor or a large table with cardboard counters representing capital ships, fighters, and other space craft. Simplified game mechanics let players engage in small skirmishes all the way up to large-scale battles involving dozens of ships. New weapons: particle guns, plasma bolt cannons, mines, torpedoes and anti-matter missiles. Note: You will need to have the Fleets at War! 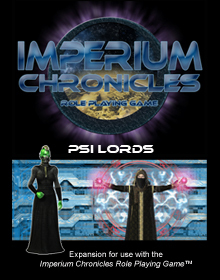 rulebook to use this expansion.